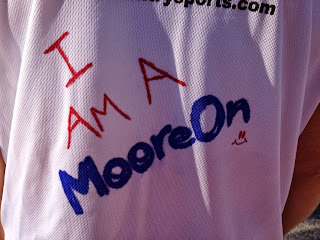 Moore On Running: RunGuard Rocks! You know I don't do a lot of product reviews, but when something comes around that I really like I have to share. There, I said it... Now you know. 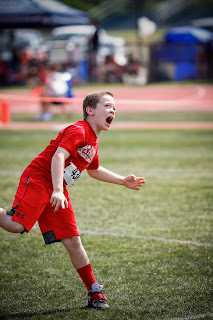 I know, you're thinking "no way!". Well, it's true - I'm a chafer (I don't think that's a real word though). I have been using BodyGlide for a while and it has not really gotten the job done as well as I would like. I judge this mostly by the amount and intensity of the screams I let out in the shower after finishing a long run. 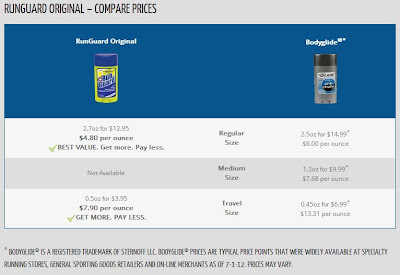 So I looked around a few sports stores and they all pretty much carried BodyGlide. I finally got online and started searching and found RunGuard. I actually knew about this company before because they make NipGuards (and who doesn't like saying NipGuards?). 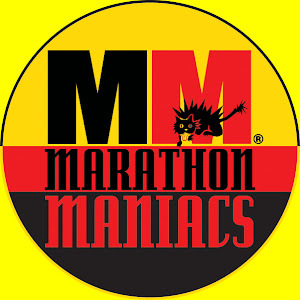 These nifty little protectors are found at all the marathon expos and can come in handy if you don't like wearing bandages across your chest during a long run or race. Back to RunGuard. There were no stores around that carried RunGuard so I emailed them and asked about trying it out. I got a couple of small travel size bottles and a regular size bottle (which is huge!). First, as soon as I started putting this stuff on I could tell a difference. It may not seem like it, but having an anti-chafing product go on smoothly without flaking all over your floor is a big deal! 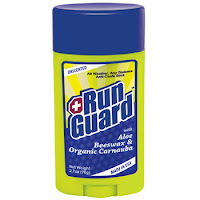 I used RunGuard on short 3-5 mile afternoon runs, a 14 mile long run on a cold morning, a 6 mile afternoon run in the rain and then on a 20+ mile hill repeat session on a bridge. Each time RunGuard performed better than I ever expected (and they are not even paying me to say this stuff!). 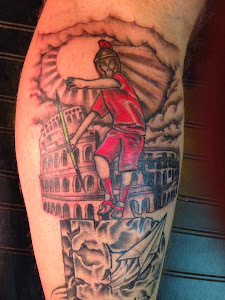 So I'm a convert. This stuff rocks! Oh, one more thing. 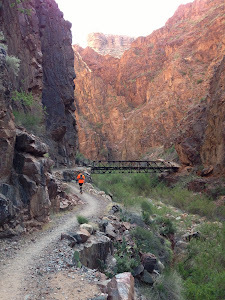 I will be using RunGuard for my Grand Canyon R2R2R run in April and will do an update afterwards.